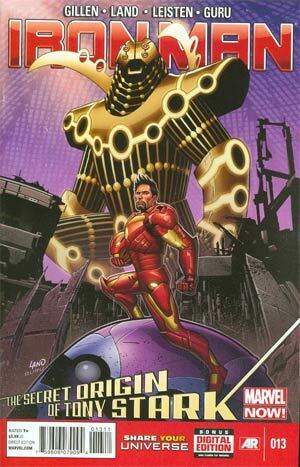 THE SECRET ORIGIN OF TONY STARK’ CONTINUES! That ulterior motive? It’s huge. Let’s go inside it. At a deserted battlefield from the beginning of time, we discover The Best Offense.